Dr. Frank Garlock is an internationally-known musician, composer, and conductor. He is recognized in both the sacred and secular fields for music which is of the highest quality. His compositions have been performed around the world by professional choirs and instrumental groups, and his performing ensembles have received recognition from such groups as the Music Educators National Convention and the International Trombone Workshop. He received his undergraduate training at Bob Jones University and completed his graduate degree at the Eastman School of Music. He has taught at several colleges including Bob Jones University where he founded and directed the thirty-member Trombone Choir, the Faculty Brass Quintet, and the Vesper Choir. He also was the chairman of the Music Theory Department at Bob Jones University, and composed film music in addition to conducting several opera performances. He founded the sacred music master’s degree program at Pensacola Christian College which trains musicians from all over the world, thereby helping mature musicians to use their talents more effectively wherever they serve. Dr. Garlock has been a board member of The Wilds Christian Camp and Conference Center since 1971. He served as the music director in the early years of the camp. As the founder and president of Majesty Music, Inc., he has developed and directed one of the largest independent publishing companies for church music in the country. Under his leadership, Majesty Music has produced well over 100 recordings and publications for every aspect of church music. Missionaries have translated much of the vocal music into multiple languages, and it ministers to people in every part of the globe. Dr. and Mrs. Garlock have written many songs together, as well as cantatas for Easter, Christmas, and other special holidays. Dr. Garlock established the Majesty MusiCollege, a seminar program for church musicians that provides musical training in every facet of church music ministries. This seminar reaches over 500 musicians each year. In 1997, Dr. Garlock produced Majesty Hymns, a hymnal with over 600 hymns, gospel songs, and choruses, with additional medleys, choral descants, and extensive indexes. He has produced several DVD/video series including The Language of Music, Pop Goes the Music, and The Nature of Music. These series have instructed and ministered to churches, Christian schools, and families around the world. In 1992, Dr. Garlock co-authored a book with Kurt Woetzel, entitled Music in the Balance. This book has proved to be an important resource that examines what Scripture says about how we are to fulfill the Lord’s admonition to sing a new song to Him. Dr. Garlock was in Jacmel, Haiti during the devastating earthquake of 2010. He has since written a book entitled Haiti: A Time for Miracles that recounts the many miraculous events that God orchestrated to protect and provide for him and others in the days following the earthquake. In 2012, he wrote his autobiography, I Being in the Way, the Lord Led Me. As Dr. Garlock meditated on the idea, he realized that the events of his life were not really about him, but about his Savior. From childhood until now, he has joyfully proclaimed Jesus Christ through music and preaching. His prayer is that the book will inspire and encourage readers to use their God-given talents for the Lord. The Garlocks continue to serve the Lord, traveling to conferences and presenting music seminars in churches and schools. At 83 years of age, Dr. Frank Garlock remains full of energy and enthusiasm. We look forward to his valuable role in the inaugural international hymn sing at the Washington Music Festival on July 26, 2014. After a successful launch this year, the Washington Music Festival will spill over into two weekends next summer. 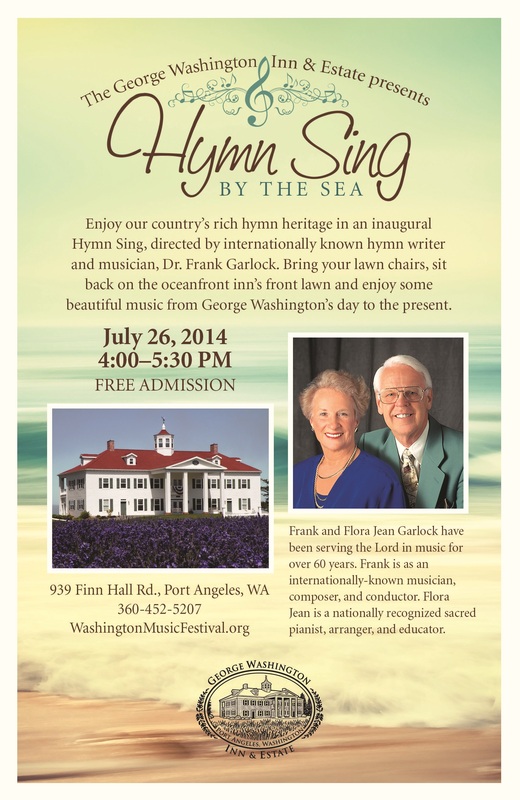 The 3rd weekend of July 2014 will feature various ensembles playing beautiful Baroque music and other popular music of George Washington’s day, and the 4th weekend in July will host an International Hymn Sing, featuring the Dutch organ prodigy, Gert van Hoef, on his North American debut. 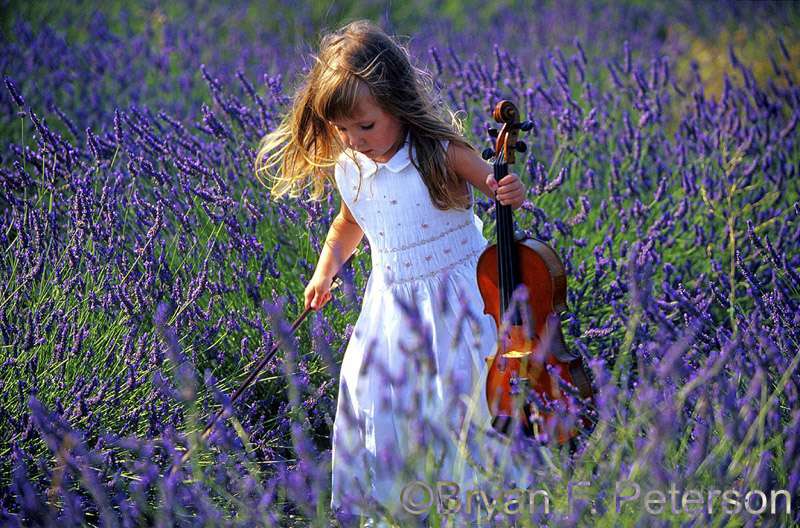 All of this music will be coming at the peak of the lavender season at Washington Lavender Farm and wildflowers that bloom in fields surrounding George Washington Inn. Don’t miss this exciting time. Why not make plans to be with us? The inn isn’t as grand as the Schonbrunn … but imagine the music festival in a setting like this, surrounded by snow-capped mountains and blue ocean waters. This month will see the debut of a newly completed replica of a 18th Century Gottfried Silbermann Baroque Organ in nearby Port Townsend. The October Candlelight Concert at Trinity UM Church will host guest organist, Woody Bernas, on this 2,000 pipe Baroque Organ which will come alive after many years of work. Works by Johann Sebastian Bach and Dietrich Buxtehude as well as other baroque composers will be performed. Perhaps it’s still a dream, but we are really looking forward to next summer! We have been given the “green light” to plan for a world class organ concert here at George Washington Inn and Estate. The Dutch organ prodigy, Gert van Hoef, has accepted an invitation to come and put on a concert for the second annual Washington Music Festival, his first concert in the United States. Gert was inspired. Often he would practice from 5 to 12 hours a day. He made up for lost time and his dedication paid off when he won a national organ competition at the age of 16. Just two years later, listen to his improvisation and performance of “‘Heer, U bent mijn leven de grond waarop ik sta”. Here is a recent birthday party concert where he includes some incredible pedal-work for a very enthusiastic audience. This fall he began his advanced musical studies at the Royal Conservatory of The Hague. His concerts have taken him all over the Netherlands and into Belgium. First of all I would like to thank you for your invitation. A concert trip to the US means a lot for me, and I am definitely willing to contribute to your music festival. The dates do not seem to be a problem, since your festival is planned during my summer vacation. My concerts might be slightly different from what people are used to. I usually reckon with 2 hours for an organ concert including a small break in the program. We can discuss your wishes for the program at a later stage…I hope that this message answers your questions for now. If you have additional questions, don’t hesitate to contact me directly. I am looking forward to hearing from you and wish you all the best in organizing the Music Festival. 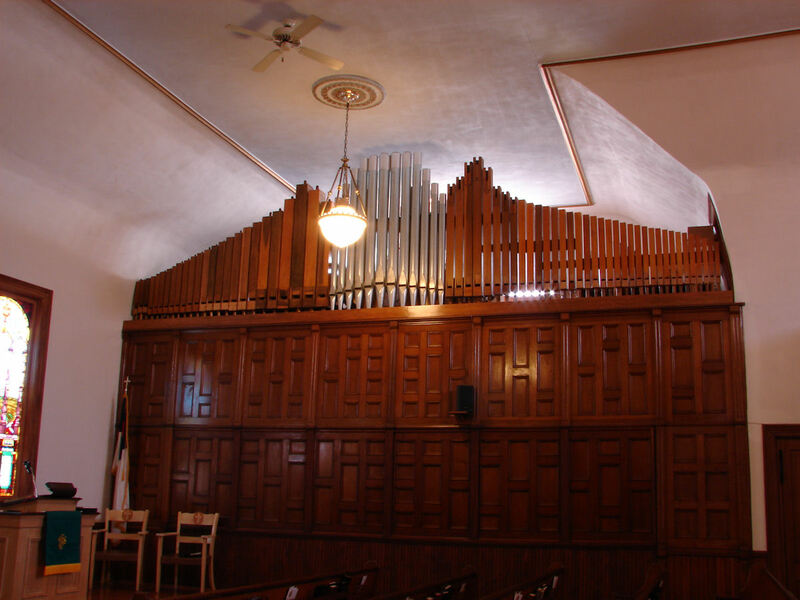 We’re planning to have an Eminent Capella Concerto organ set up on the inn’s portico for Gert to use during the festival event. During his high school years he worked as a demonstrator for Eminent Organs in Voorthuizen, Netherlands. 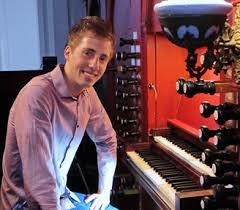 Of course he is partial to this fine Dutch electronic church and home organ! Additional concerts are being planned while he is in the Pacific Northwest for his North American debut. If you are in the greater Seattle, Victoria and Vancouver areas and would like to host Gert for a concert, please submit the contact form, found below the links. What a day! Many people listened to beautiful baroque and patriotic music from George Washington’s era as they soaked in the sunshine on a gorgeous day at the George Washington Inn and Estate. Maestro Dewey and his orchestra played for the enjoyment of contented and happy attendees who also enjoyed the annual farm tour festivities. The Olympic Peninsula has many qualified musicians whose talents have been put to work. If Bach’s Mass in B Minor could be performed this past April here in Port Angeles, then these talents need to be nourished and propagated for the future. Come out to an oceanfront oasis and enjoy the panoramic views and sweet smells of a lavender farm that takes you back in time. 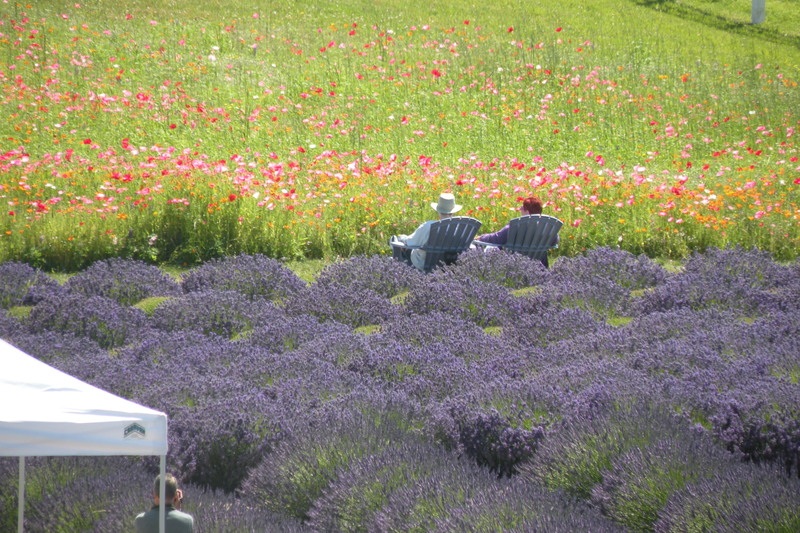 The Sequim Lavender Farmers Association is holding its annual “Heritage Lavender Farm Tour” which opens six beautiful farms to thousands of visitors who have made Sequim world-famous for lavender over the past two decades. 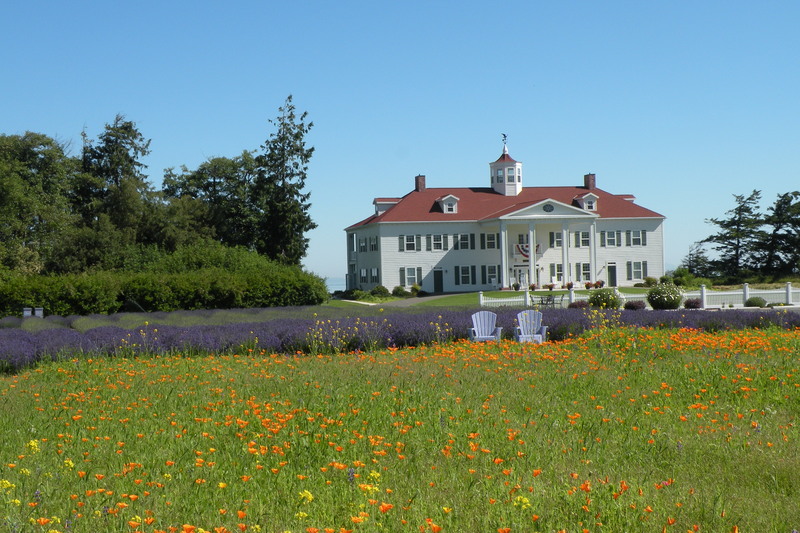 Washington Lavender Farm will allow you to relax on their front lawn and take in music that George and Martha Washington would have enjoyed in a remarkably similar setting to Mount Vernon. All you need is a ticket to this farm tour event. Come and show your support for this exciting new music festival! A recent article in the Peninsula Daily News had this to say about the upcoming Washington Music Festival. Don’t miss all the excitement at this unique venue between Sequim and Port Angeles. Enjoy the beauty and sounds of an oceanfront farm that shares a panorama that showcases the Olympic National Park along the Strait of Juan de Fuca.